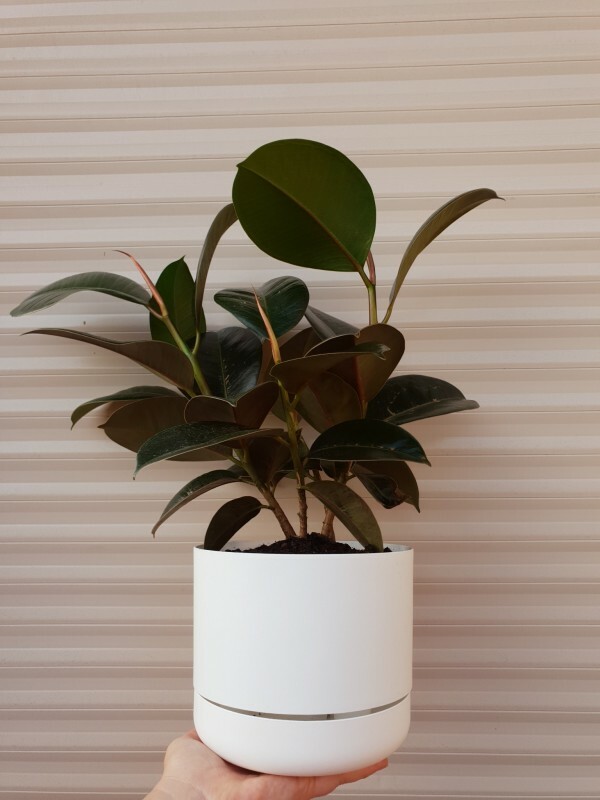 The Rubber Plant or Ficus Burgundy is a tough easy going plant. It’s thick leathery leaves are a very dark green to dark burgundy shade and it is one of the more popular ficus varieties. An indoor plant that is happiest with indirect light. We have potted this beauty into a white Mr Kitly self watering planter. These planters are the best! Designed from a collaboration wtih Decor these are the perfect lightweight planter with an ingenius self watering system.